Welcome to Boston! 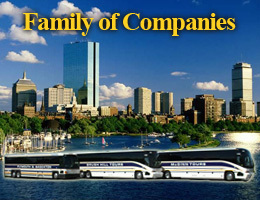 Choose from a wide variety of Boston tours and New England sightseeing options. We offer full and half day regularly scheduled sightseeing tours of Boston and New England; featuring Boston & Cambridge, Lexington & Concord, Cape Cod, Salem & Plymouth, Maine Seacoast, Newport, RI and Fall Foliage tours. 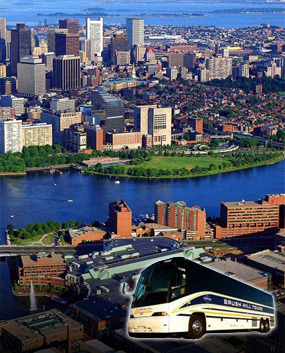 Brush Hill Tours is committed to making your group feel safe and at home in Greater Boston. We have over 90 years of experience and expertise providing safe and comfortable transportation for all size and types of groups. Our staff is trained to handle the specific needs of your group, school or company. We specialize in Meeting & Convention transportation planning. You can rely on us to take care of all the logistics. Call Brush Hill Tours for your meeting & convention needs today! For Important ADA Information, please click on ‘ABOUT US’ tab and the ‘CONTACT US’ subtab.